We always arrive at least one night before our cruise starts. This is one of my number one recommendations when people ask me for my tips and tricks about cruising. 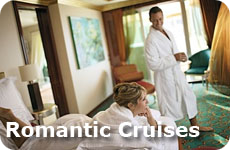 The main reason is that it will give you time to get to your cruise relaxed and ready to go, and gives you lots of buffer room around flying into Miami or whereever your cruise is departing from. We stayed at the Westin Coral Gables. We have enjoyed this hotel before and we love the neighborhood and restaurants. We also like it because we can use our Starwood points. After a short taxi ride to port we could see the NCL Pearl! We arrived just after noon and the line ups had started. 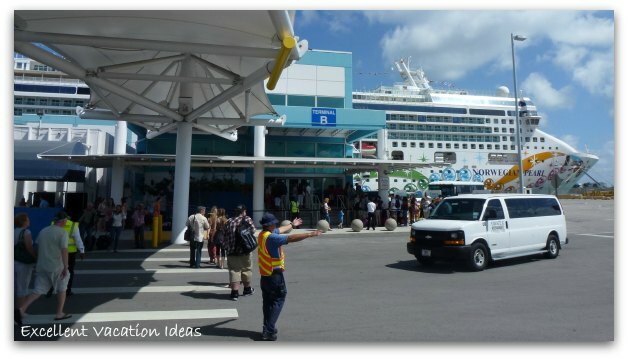 Apparently US Customs were really slow on the disembarkation of the previous cruise, so the crew were really behind on what needed to be done for us to embark. The security line up wasn't too bad, it took about 15 minutes and then we were off to the VIP check in. We waited for 2 other families to check in. They had our keys ready and directed us with another group past the long lineup of people checking in, and past the long line up of people waiting to get onto the boat, and before you knew it we were aboard the Pearl. 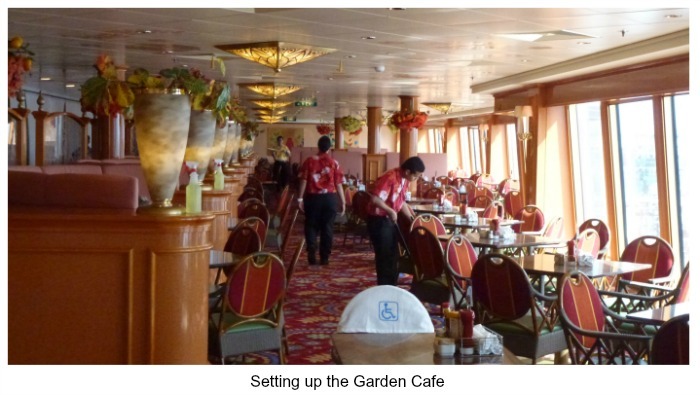 On past cruises we would be escorted by our butler to our cabin, however this time we were escorted by a person who worked on the dock and then asked to go up to Cagney's for lunch. This was fine as our cabins were not ready yet. We started off in the Star Bar, where we signed up for some Spa treatments and booked our week long pass into the Thermal Pool. This was handy as we didn't have to go to the spa to do it. 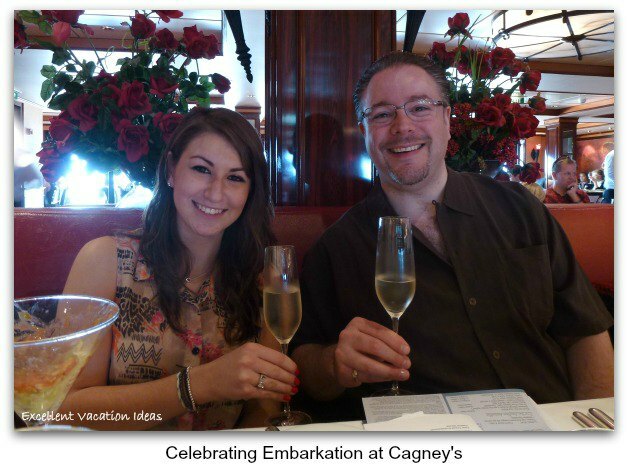 The only problem with the embarkation was that the crew at Cagney's were rushed off their feet and lunch took about 2 hours by the time we were finished. We were happy to have those awesome Cagney's Truffle fries again! About 1 1/2 hours into lunch they announced to the ship that everyone's cabins were ready. There was an overall sigh of relief. 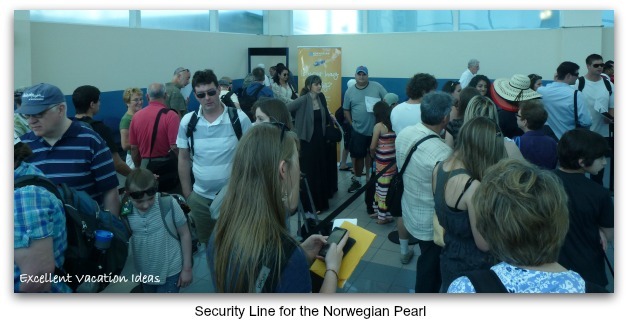 Overall it was a relatively easy embarkation which was made easier by the extra services with the VIP check in. We went to our cabin - 14512, The Jasmine Suite - to check it out. It was just as we expected it to be. We then went to check out the Haven Courtyard area. And off to tour the ship while we waited for our luggage (which didn't take too much longer). 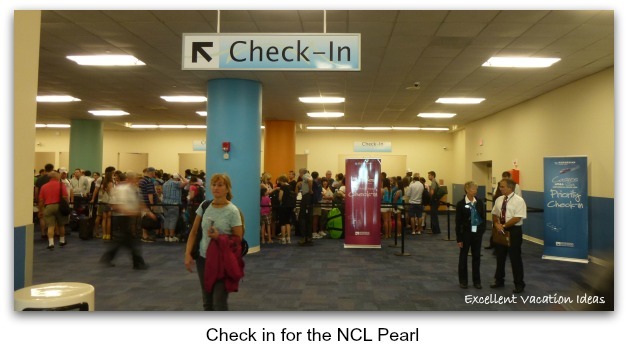 See our collection of NCL Pearl Haven Photos. 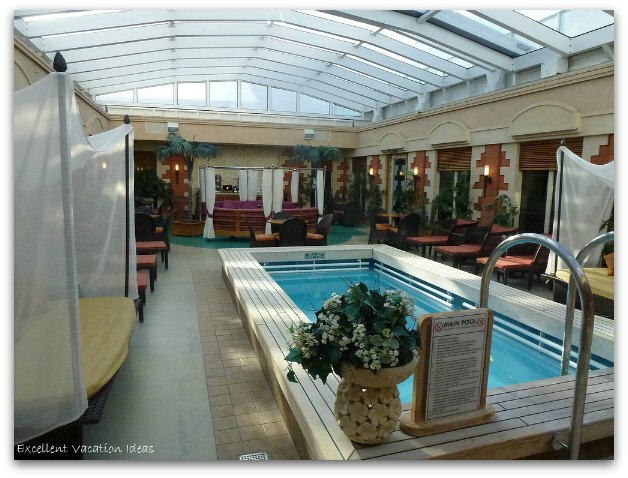 You can see why it's worth upgrading to the Haven suites! 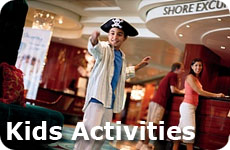 You have many different options for dining on the NCL Pearl. From dining rooms and buffets that are included in your cruise fare to amazing restaurants that charge a little bit extra for an amazing ethnic or gourmet meal.